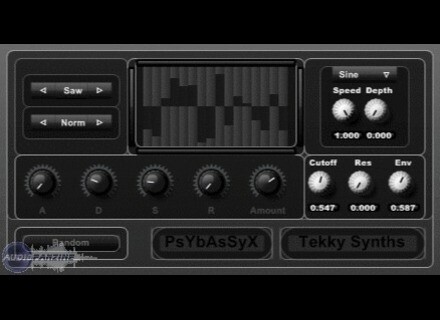 PsYbAsSyX [Freeware], Other Virtual Synth from Tekky Synths. 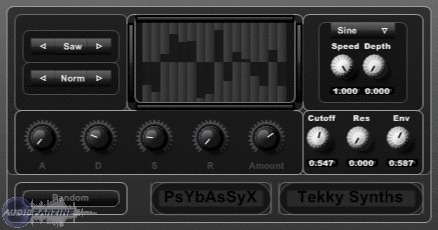 Tekky Synths has updated PsYbAsSyX FREE to version 3.5. Shift left/right, up/down semi-tones (+/- 12), number of steps selection (1-2-4-8-16), initiate sequence. MIDI learn system implementation now works in Cubase 5. Big Tick Updates Zen BigTick has updated Zen, the free Universal Presets Manager, to Version 1.64.
iZotope T-Pain Effect iZotope and rapper T-Pain have teamed up on The T-Pain Effect, a collection of music making tools designed to make beats and record vocals featuring the distinctive sound of T-Pain. Arturia Summer Promotions Arturia announces Summer promotions on Analog Experience bundles.